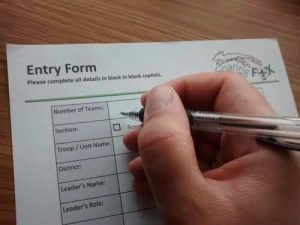 When entries are being accepted, simply download the Entry Pack, and send the Entry Form to the administrator along with the entry fee for however many teams you are entering. Please check the website and the entry form for the deadline to ensure you get your entry posted in time. Entry is open to any troop or unit, from Leicestershire and beyond. 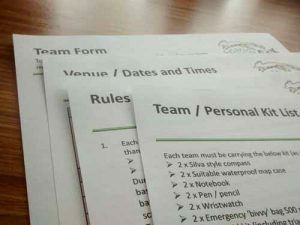 Shortly after we receive your entry, you will be emailed the Welcome Pack with the rules, kit lists and health forms. You will be asked to fill in your team(s) details online, and you will need to send your team(s) health forms and payments in. Please ensure you then get your health forms and camp fees posted to the administrator in good time before the deadline. In order to ensure fairness (and to maintain a sense of mystery) the details of the venue won’t be released until a month or so before the event. It will, however, be somewhere in Leicestershire.